Prudential Financial Inc. said the New York Department of Financial Services told the company that it may not be holding enough reserves to back variable annuities. (Bloomberg) — Prudential Financial Inc., the second-largest U.S. life insurer, said the New York Department of Financial Services told the company that it may not be holding enough reserves to back some savings products, known as variable annuities. The New York regulator, led by Benjamin M. Lawsky, has been scrutinizing insurers’ reserves to make sure the companies have enough funds to meet future payouts. 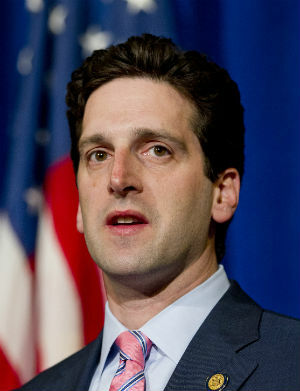 Lawsky called for tighter rules for some products and proposed a moratorium on the use of transactions by insurers with affiliated companies that can mask risk. Bob DeFillippo, a Prudential spokesman, declined to comment. Matt Anderson, a spokesman for the New York regulator, had no immediate comment. Prudential had $150.5 billion in variable-annuity account value as of Dec. 31, according to a document on the company’s website. The insurer was the No. 4 seller in the first nine months of 2013, according to data from industry group Limra’s Secure Retirement Institute. Lincoln National Corp. increased reserves after discussions with Lawsky’s office, the Radnor, Pennsylvania-based company said yesterday in its annual filing. The firm added $90 million to funds set aside for universal life policies as of Dec. 31 and said it plans to reserve more money over four years. The amount, which won’t be more than $90 million annually, will be determined by additional conversation with DFS, the company said. MetLife Inc., the largest U.S. life insurer, said reserves increased by $108 million on similar products after the New York rule change. In September, Lawsky sent a letter to state insurance regulators faulting new rules for reserves tied to some universal life insurance policies. He called for a return to older regulations that required more money and said he’d be using that approach in New York. At the time, the American Council of Life Insurers said it wasn’t necessary for the industry to set aside more funds for the products.